Picturesque views of the McKenzie River from meticulously built craftsman style cabin in the heart of the McKenzie Recreational Valley. Minutes to Tokatee Golf Course, hiking & biking trails, skiing, swimming at the reservoirs, rafting & fishing. 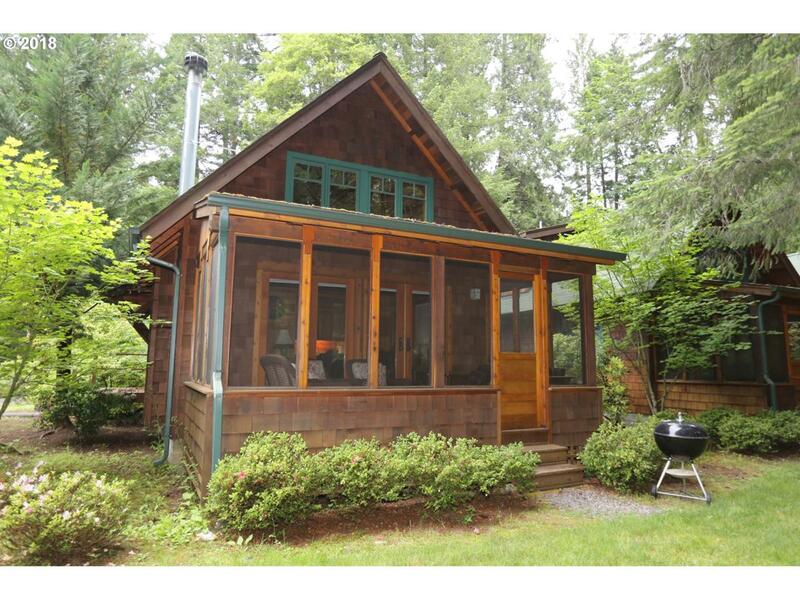 Relax by the fireplace or enjoy the screened in sun porch year round and watch the river flow. Fully furnished and ready for year round adventures. RC zoning. Financing is available.